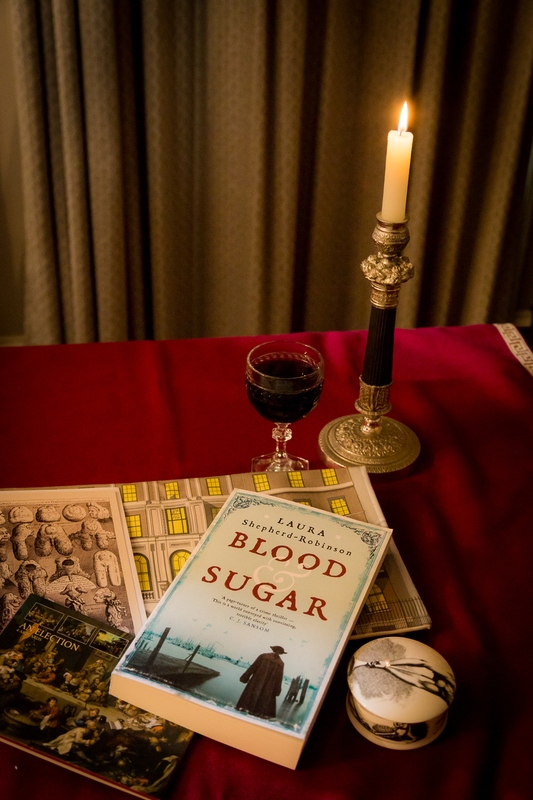 I am giving away a signed proof copy of BLOOD & SUGAR (not out until January), along with some 18th century themed goodies: a tote bag, some Hogarth postcards and a little jewellery box. To enter: simply sign up to my mailing list: https://www.laurashepherdrobinson.com/ I will be drawing the winner at random on this Sunday, 28 October 2018, and will announce it here. Good luck! UPDATE: Congratulations to Ann Bloxwich who won this competition! I will be doing another give-away around the time of publication in January.